The Blue Damsel Booby can be presented hovering temptingly just above the bottom, where the fish are often lying, especially during early season. It is ideal for bank fishing on still waters and reservoirs. The Blue Damsel is becoming one of the most popular small still water lures in the UK and Europe. The damselfly nymph is very successful during the summer months when main feeding occurs. In summer months when the mass migration of damselfly nymphs occurs, try the edges of weed beds for trout patrolling close in for this food. 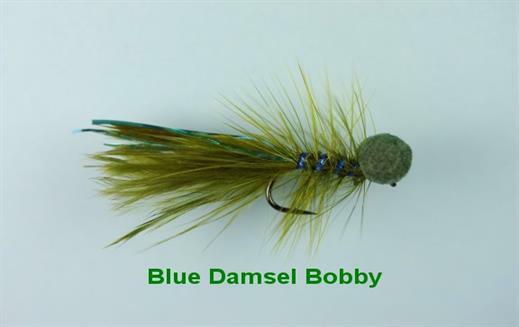 Currently there are no comments about the Blue Damsel Booby fly pattern from other fly fishermen yet.